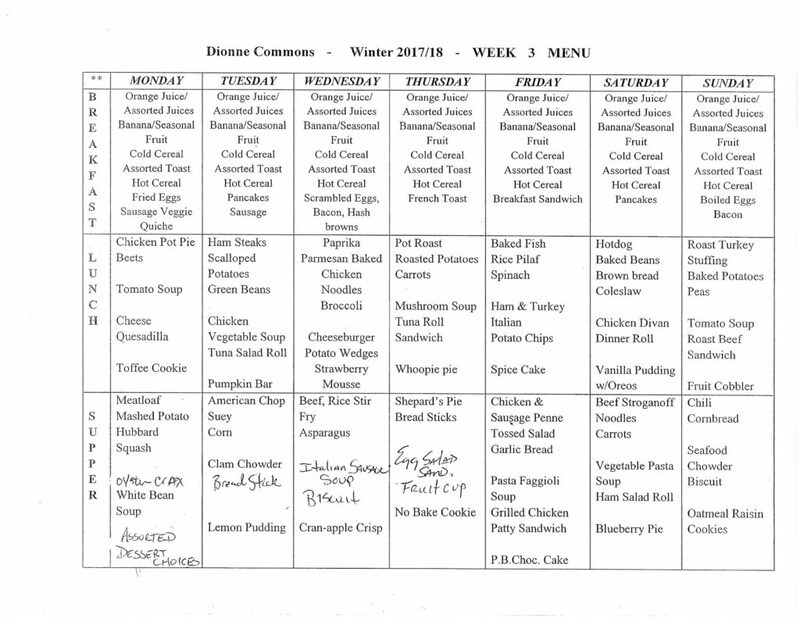 At Dionne Commons, we offer a taste of seasonal meal planning. Seasonal food refers to times of the year when the harvest or the flavor of a given type food is at its peak. This past year, during the summer months Dionne Commons residents maintained their very own raised garden beds that provided them with a plethora of beautiful, fresh vegetables which can be found in various dishes within our summer menu. 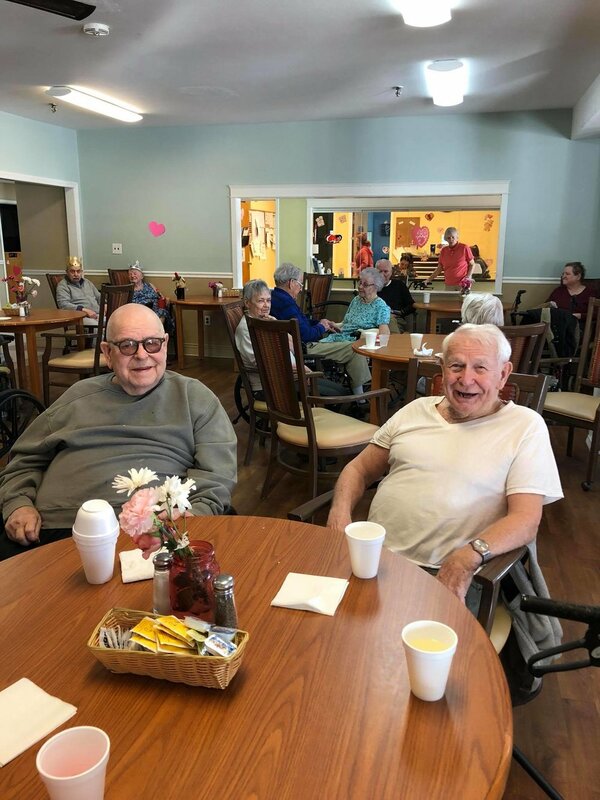 Throughout these times our facility creates meals that truly provide to the residents a certain “farm to table” feel and atmosphere which we are all very proud of. Dionne Commons is a proud supporter of our local community as well. We love being able to provide our tenants with some of the most beautiful, fresh seafood around, found only at Cantrell’s Seafood. Even our daily food scraps don’t go to waste as they go back into the community through working with the We Compost It! program. 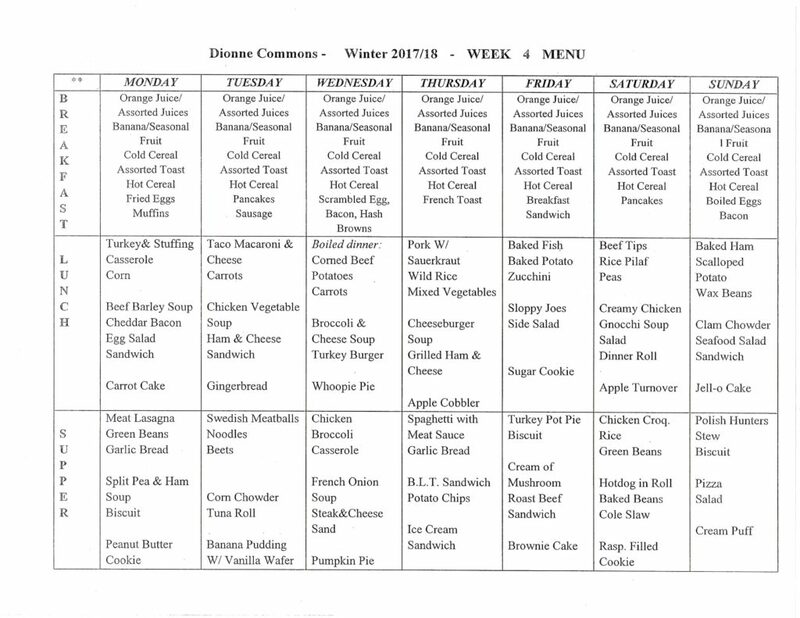 Please feel free to view a sample of our menu below.